A stroke can result in a disability insurance claim. 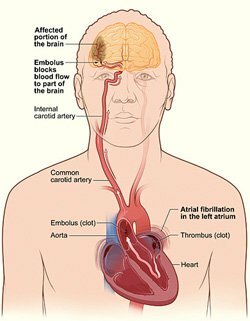 How can disability insurance attorneys Dell & Schaefer assist you with a stroke disability claim? A stroke disability claim is something that is unfortunately common. As disability attorneys, we have represented numerous short and long term disability claimants that have been unable to work as a result of a stroke. It is the residual effects of a stroke that makes it difficult for most people to return to work and leads to the filing of a disability benefit claim. Often people who experience a stroke will have a permanent cognitive impairment. The disability carriers will often argue that a claimant’s cognitive impairment is not disabling and is not medically supported. Disability companies will often challenge a stroke disability claim by obtaining video surveillance of a stroke disability claimant that appears to be engaging in normal daily activities such as grocery shopping or eating at a restaurant. These types of normal daily activities does not mean that a person that has suffered a stroke has the ability to return to work and commit to a 40 hour work week. You do not need to be bedridden in order to collect disability insurance benefits. Our disability insurance lawyer help clients on a daily basis to obtain and protect their disability insurance benefits. Disability Attorneys Dell & Schaefer have an expansive understanding of the significant restrictions and limitations that a person suffering from a stroke must live with on a daily basis. We have worked closely with top physicians in order to sufficiently satisfy a disability carrier’s threshold of evidence necessary to prove that a client is disabled by suffering a stroke. In order to win your claim you need to understand how the disability insurance companies think and be able to provide them with the required information. Through our years of experience we know exactly what needs to be submitted in order to make a stroke disability claim as strong as possible. Not everyone suffering from a stroke qualifies for either short or long-term disability benefits, therefore the medical records of each claimaint must be reviewed to determine the level of restrictions. We welcome the opportunity to discuss your disability benefit claim. You can contact us for a free initial consultation. We have published 23 articles about Strokedisability cases. Here are the most recent ones.